About 250 pharmacists, social workers, physical therapists and other professional workers at UCSF Benioff Children’s Hospital Oakland voted overwhelmingly Wednesday, January 24, to join the National Union of Healthcare Workers. 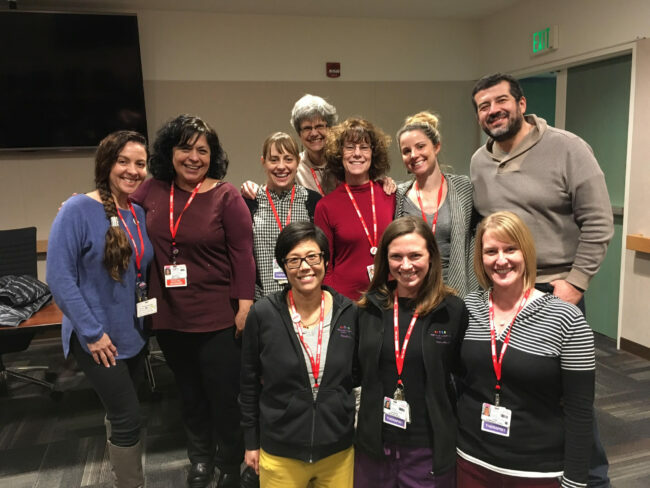 These new members are coming on board as the union negotiates a new contract for its approximately 900 technicians, administrators and service workers at the Oakland hospital. With more than 1,100 members now at the facility, the union is better positioned to boost pay, improve working conditions and beat back UCSF’s threats to cut service to the East Bay. About 80 percent of workers voted to join the union. The new members include social workers, marriage and family therapists, psychologists, infant development specialists, infant mental health specialists, child life specialists, music therapists, artists in residence, physical and occupational therapists, physical therapy assistants, audiologists speech language pathologists and pharmacists. More than half of the new members work in the field of mental health, an area of expertise for the union which represents several thousand mental health professionals at Kaiser hospitals and clinics. This vote comes on the heels of several organizing victories last year including 419 caregivers at Queen of the Valley Hospital in Napa, 120 at the University of Southern California’s Norris Cancer Hospital and more than 600 at Children’s Hospital Oakland. More than 2,000 workers have joined NUHW in the past 12 months.